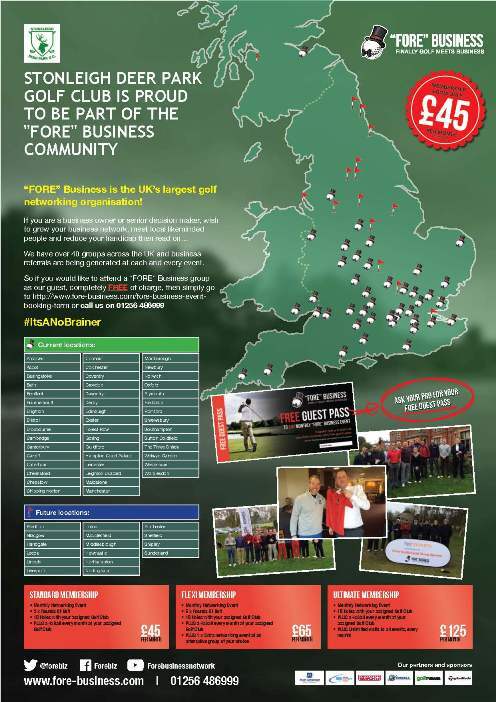 Stoneleigh Deer Park Golf Club is proud to be part of the "FORE" Business community. "FORE" Business is the UK's largest golf networking organisation, and its Coventry Group meet and play at Stoneleigh Deer Park Golf Club every month. So if you are a business owner or senior decision maker and wish to grow your business network, meet local likeminded people and reduce your handicap - please click on the logo above to find out more!